Today's simple vegetarian supper recipe: Asparagus cooked with the lovely grain called "farro" and topped with a simple and most surprising green onion sauce. My version of Heidi Swanson's recipe has been "lightened" considerably, reducing the calories, carbs and Weight Watchers points. 2007 ORIGINAL POST I'm betting that when Heidi Swanson titled her new cookbook Super Natural Cooking, by 'super natural' she meant something other than (1) three hours of afternoon errands (2) feeling oh-so-tempted to pick up supper somewhere, anywhere, on the way home (3) deciding otherwise and (4) then, the payoff, 30 minutes later, sitting down to a fast, delicious and healthful meal. (And colorful! Look at that plate!) In my book, anyway, one definition of 'supernatural' is helping us successfully battle the lure of the drive-through. Thank you, Heidi! In fact, Heidi did mean something else by Super Natural, as the subtitle reveals: Five Ways To Incorporate Whole and Natural Ingredients into Your Cooking. 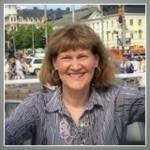 Heidi's cookbook is a thinking cook's friend, one to challenge your pantry along with your brain. I'm just beginning to explore its concepts and its recipes but if the farro/asparagus combination is any prediction, this is destined to be a favorite cookbook, perhaps one of my very own 101 Cookbooks (yes, that's Heidi's food blog/website). FARRO What is farro, you ask? Farro is also called 'emmer wheat' and is much-appreciated in Italian cuisine. When I first tried it a few weeks back, I fell in love with this grain, its nutty and hearty puff. I don't quite know how to explain it but I do recommend that you look for it. If you like, Amazon sells farro. In St. Louis, I find it at Global Foods in the rice section. The 'pearled' or 'semi-pearled' farro has some of the husk removed and cooks more quickly. GRAIN:VEGETABLE PROPORTIONS My taste is geared to less grain and more vegetable. So often, I cut in half the specified quantity of grain. Heidi called for 2 cups of farro and a pound of asparagus to feed 4 - 6. My version calls for 1 cup of farro and a pound of asparagus, the yield was four cups; topped with the gorgeous green onion sauce and some Greek yogurt, one cup made for a very satisfying light supper. (And if you count in Weight Watchers points, only five points.) Your taste may be different so, naturally, feed your taste! 2013 UPDATE My instincts remained the same for this recipe, use less farro, add something to the green onion sauce to make it more pourable. Very good, this stuff! Farro is special, worth seeking out, but other grains/rices would too, I think it would be a great use of this gorgeous Oven-Baked Whole-Grain Pilaf with a mix of any grains/rices. FARRO & ASPARAGUS In a large pot or Dutch oven, begin heating the stock on MEDIUM HIGH. As soon as it's prepped, add the farro and bring to a boil. Reduce heat to MEDIUM (or lower, this did bubble up more than I expected), cover and let cook, stirring occasionally, until farro is nearly tender (there will still be liquid in the pan, the farro will continue to absorb it). Add the asparagus lengths (saving the tips for later, for the moment) and cook for about five minutes, until the asparagus is nearly cooked but still bright green. Stir in the tips and cook another 5 minutes. Stir in the lemon zest and walnuts. Salt to taste. GREEN ONION SAUCE While the farro and asparagus cook, make the sauce. In a small saucepan, melt the butter til shimmery on MEDIUM. Add the green onion and cook til they soften, about 5 minutes. Stir in half & half or Greek yogurt. (Heidi 'creams' the sauce at this point with a hand blender. I like this touch but it might not be needed if adding cream or yogurt.) Season to taste. Stir in the cream or yogurt and gently warm. 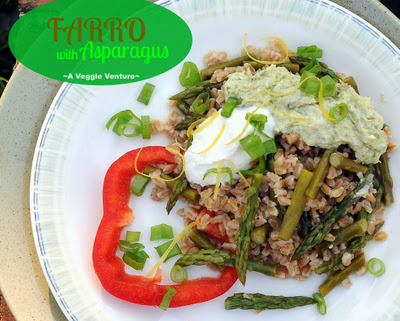 To serve, arrange farro/asparagus on plates, top with sauce and any garnishes. Serve and enjoy! Once I used leek instead of green onion for the sauce, very nice! The lemon zest really brightens this dish, I wouldn't skip it. I like the sauce to be more 'sauce-y' than goopy and so thin it with cream or yogurt. While this version is a vegetarian supper, it's easy to imagine farro with asparagus served as a side dish or as a bed for grilled fish. I can also imagine it cooked in more broth, as a soup. Or what about substituting ripe tomato for the asparagus? This is a dish that's eminently adaptable, begging for adaptation based on what's in season and what you're in the mood for. LEFTOVER REPORT Think about making a double batch, for this warms up beautifully and may taste even better on the second day. 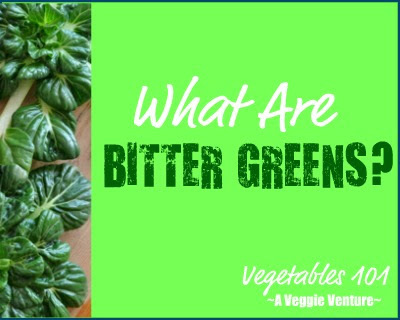 And given this, I might just stir in the cooked green onion rather than using a sauce, forgoing the cream or yogurt to make into a thinner sauce. My Version, Per cup using 1 cup farro, 1/4 cup half &amp;amp; half: 253 Calories; 5 g Tot Fat; 3 g Sat Fat; 40 g Carb; 6 g Fiber; NetCarb34; 2 g Sugar; 947 mg Sodium; 13 mg Cholesterol; 12 g Protein. WEIGHT WATCHERS POINTS: WW Old Points 4.5 & WW PointsPlus 6 CALORIE COUNTERS 100-calorie serving, 6 tablespoons; 50-calorie serving, 3 tablespoons. I just found out that farro is South Beach diet friendly. I shouldn't have been but I was surprised, and now I'm wanting to try it.